LotusTalk - The Lotus Cars Community > Lotus Discussions > General Discussion (Lotus related) > 5W40 Deal...? $4,00 per QT....but is it any good? You are better with Shell Rotella T6. 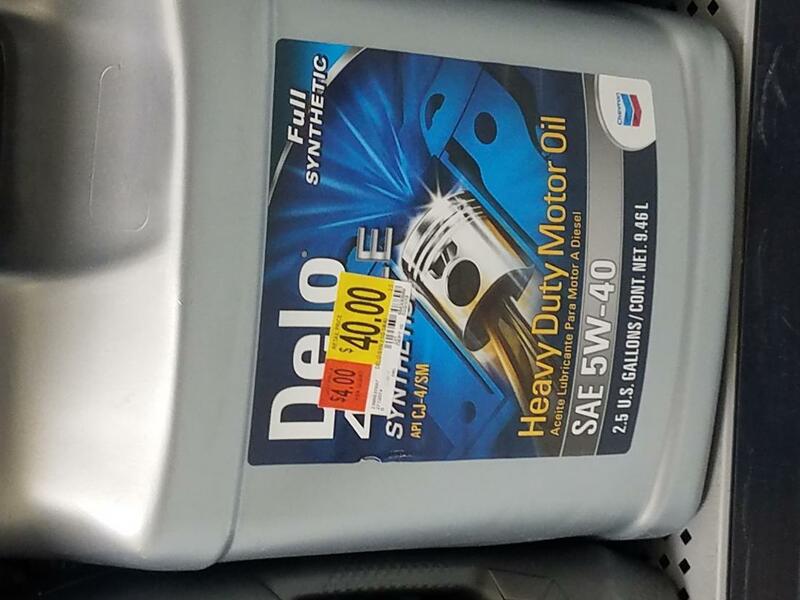 Get the rebate from Shell and it works out better for a much better oil and Walmart has it. If you local store doesn't, then order through walmart.com and have it delivered for free to the store. For some reason nobody knows that Shell always has the following deal! You can also pick up the oil change specials that Advance Auto Parts and PepBoys do. Advance has a 5qt deal going on for like $27 for Castrol Syntec. I think he was focusing on the fact that the oil was selling for $4 for 2.5 gallons but he had never heard of the brand (either have I). Definitely not a deal for an unheard of oil. Delo is Chevron's brand and it certainly well known.